road in his red Maserati, has run over a cow. When Garrigan tends to Amin, the dictator, in his obsession for all things Scottish, appoints him as his personal physician. 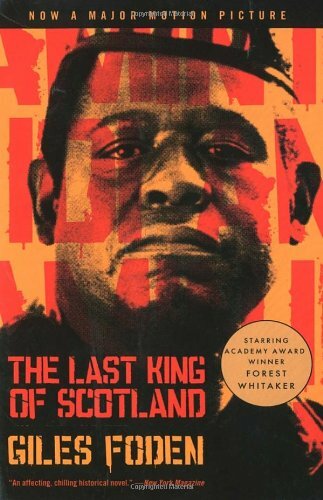 And so begins a fateful dalliance with the central African leader whose Emperor Jones-style autocracy would transform into a reign of terror.In The Last King of Scotland Foden's Amin is as ridiculous as he is abhorrent: a grown man who must be burped like an infant, a self-proclaimed cannibalist who, at the end of his 8 years in power, would be responsible for 300,000 deaths. And as Garrigan awakens to his patient's baroque barbarism--and his own complicity in it--we enter a venturesome meditation on conscience, charisma, and the slow corruption of the human heart. Brilliantly written, comic and profound, The Last King of Scotland announces a major new talent.